The Riverside Guest Cabins include 7 rooms. 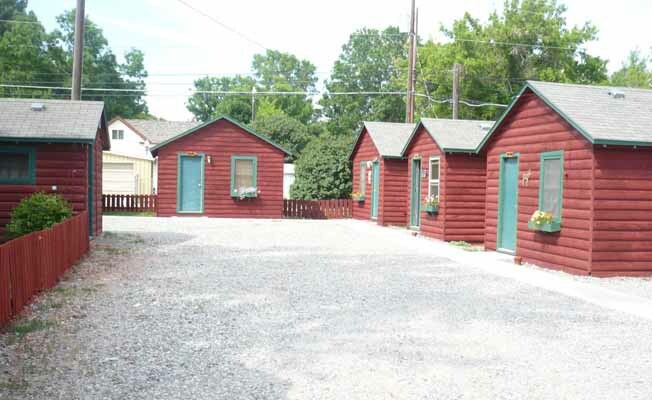 They are charming, well maintained cabins close to the river. All of the cabins are one story and have at door parking with exterior corridors. We have a designated smoking area, playground, barbecue and picnic area. Pets are welcome. All rooms include showers, air conditioners, extended cable, free Wi-Fi, and mini refrigerators.